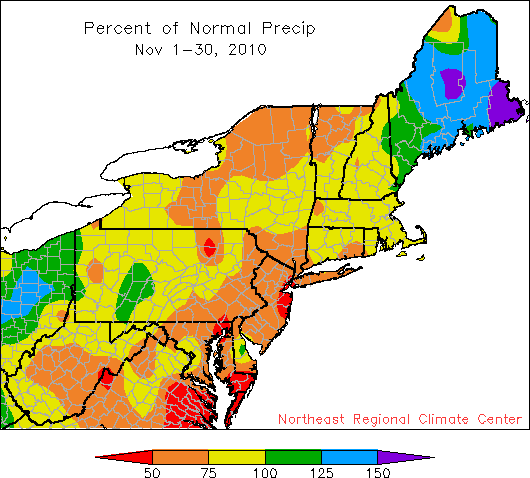 November was drier than normal for the Northeast, except in Maine. Rainfall totals in the Northeast averaged a bit on the dry side during November, with Maine the only state with above normal rainfall. This was a flip-flop from the totals in October 2010, when the region averaged about 160% of the normal rainfall and only Rhode Island and West Virginia were drier than normal. 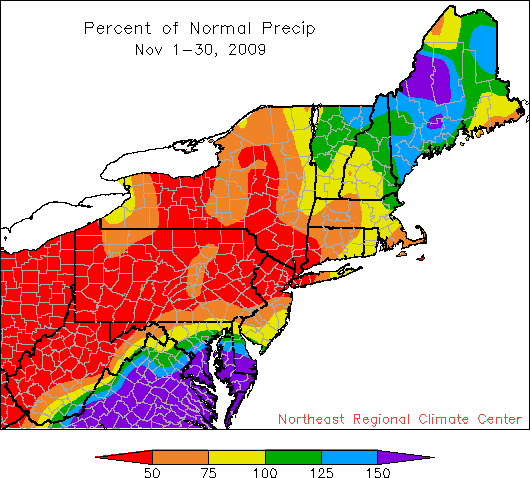 Interestingly, rainfall totals during November 2009 exhibited a somewhat similar pattern to November 2010.